Thylakoids are highly protein-enriched membranes that harbor a number of multicomponent photosynthetic complexes. Similarly to other biological membranes the protein constituents are heterogeneously distributed laterally in the plane of the membrane, however the specific segregation into stacked (grana patches) and unstacked (stroma lamellae) membrane layers is a unique feature of the thylakoid. Both the lateral and the vertical arrangements of the integral membrane proteins within the three-dimensional thylakoid ultrastructure are thought to have important physiological function. In this work we explore the role of membrane stacking for the thermal stability of the photosynthetic complexes in thylakoid membranes. By means of circular dichroism and differential scanning calorimetry we demonstrate that the thermal stability of the monomeric and trimeric forms of the major light harvesting complex of photosystem II (LHCII) increases upon unstacking. This effect was suggested to be due to the detachment of LHCII from photosystem II and consequent attachment to photosystem I subunits and/or the fluidization of the lipid matrix upon unstacking. 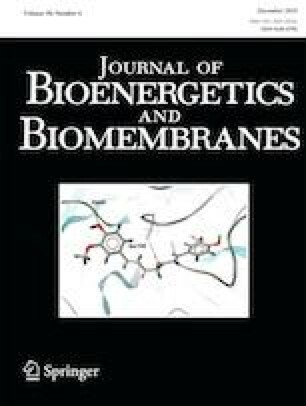 The changes in the physical properties of the protein and lipid membrane components upon unstacking result in strongly reduced photosystem II excitation energy utilization. This work is supported by the Program for career development of young Scientists in the Bulgarian Academy of Sciences [grant number DFNP 17-138] (N.P.). The authors are grateful to Prof. B. Shivachev for the technical help with the fluorescence measurements.